Callstats.io is excited to join Amazon Connect on stage in booth #2106 at Enterprise Connect 2019 to deliver a joint presentation: Ensuring Voice Quality for Amazon Connect. The presentation will disclose new developments in the callstats.io solution for Amazon Connect contact center customers. Chad Hart, callstats.io product manager, will join Kentis Gopalla, AWS global consulting partner lead, on stage at 6:40 p.m., Monday, March 18th to deliver the presentation, which is open to all Enterprise Connect 2019 attendees. 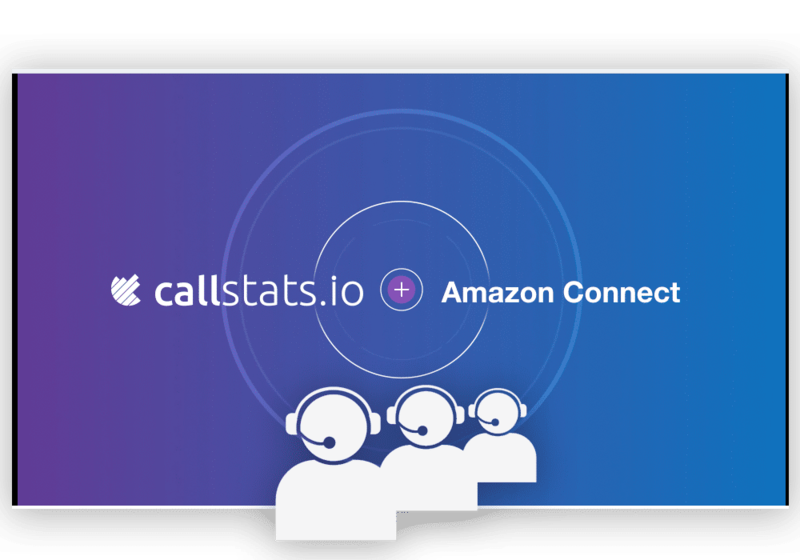 Introduced last year and quickly adopted by Amazon Connect enterprise customers, the callstats.io solution complements an Amazon Connect deployment by enabling contact center managers to monitor, analyze and rapidly troubleshoot voice communications issues. It embeds callstats.io monitoring capabilities into the Amazon Connect agent endpoint, giving contact center managers and engineers detailed visibility into the communications experience. Enterprise Connect is the largest event in the enterprise communications industry, attracting thousands of technical and business leaders with responsibility for enterprise contact centers, unified communications, collaboration and other applications. The event will be held March 18-21 in Orlando, Florida.